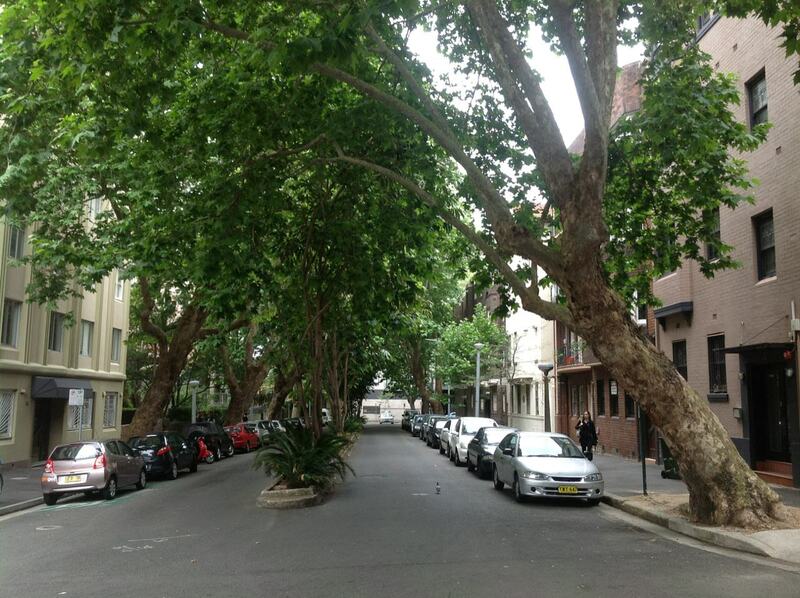 The mature, single species avenue are ornamental deciduous trees that have historically been associated with street planting in many urban areas, particularly commercial and business precincts around Sydney since the 1920’s. 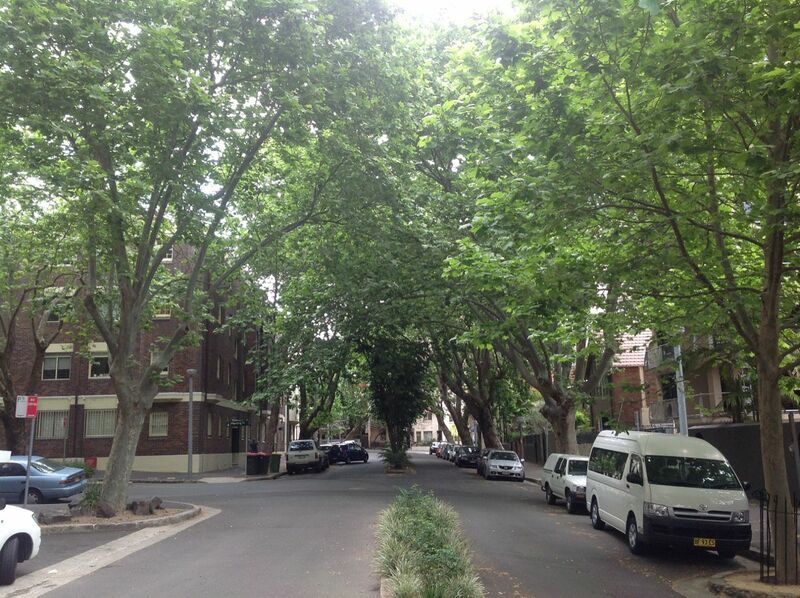 They create a cosmopolitan and leafy character to the Potts Point/ Kings Cross area. They form an almost unbroken canopy to the street and many have defined leans out into the street, as they have grown away from the surrounding buildings within the narrow side walks. 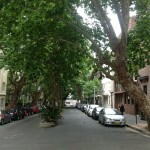 As in the Manning Street group, this avenue is a vital part of the broader local precinct planting of London Plane Trees throughout Potts Point. It provides an important contiguous link between Macleay Street and Victoria Street (refer to listings in this Register). 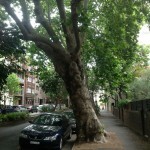 This avenue is considered to have significance due to the special combination of aesthetic, visual, and social values. 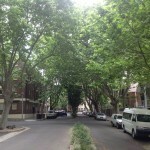 The narrow median strip planting of the Queensland Umbrella Tree (Schefflera actinophylla) introduces unnecessary and competing elements into this streetscape and is therefore considered intrusive in this context. 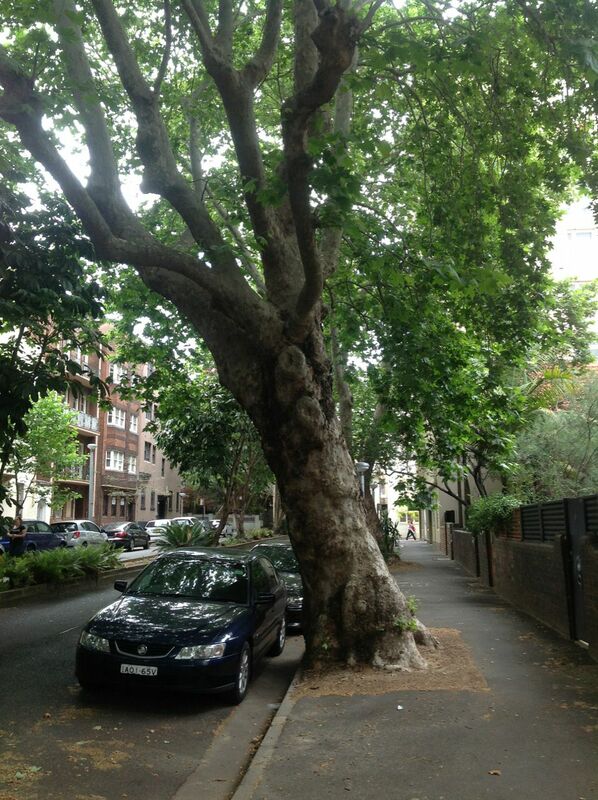 This small avenue of London Planes (Platanus x acerifolia) contains a mixed age structure with several larger older specimens probably planted in the 1920’s, with numerous younger trees, possibly dating from the late 1930’s which are clearly evident as semi-mature trees in 1943 aerial photographs.